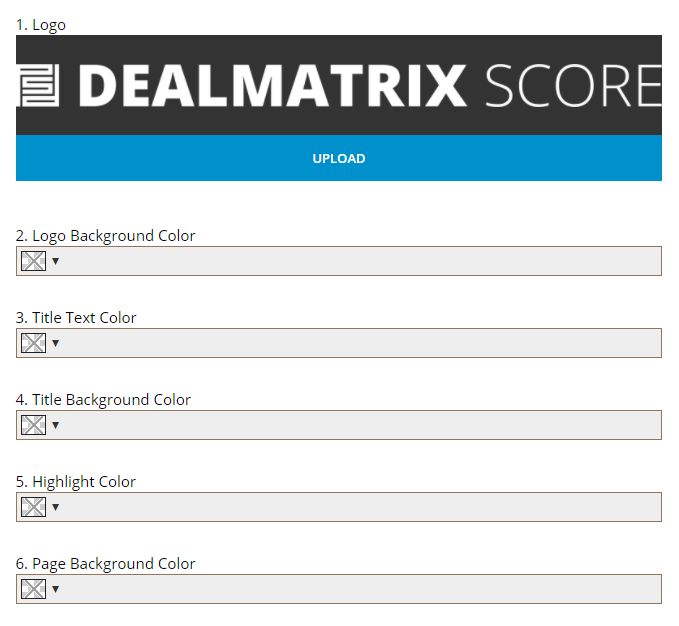 Customization of your voting website is a premium feature for DealMatrix SCORE. 1. The logo format should be 450x75 pixels in PNG format with a transparent background. 2. The background color shows behind the (ideally transparent) logo. 3./4. The title bar colors. 5. Used for buttons and selection elements. 6. The background/border color of the website.